My blog is supposed to help you stage your home. It's 2014. How am I doing? Now that all the ho-ho-hoing is behind us, it's time to jump into 2014 with fresh goals and sweet expectations. A popular inspirational quote on Pinterest now advises: "Don't follow your dreams, chase them!" Maybe you have dreams of selling your home. With that possibility in mind, I've gathered the posts from this blog that more people read in 2013, the posts they liked and shared on Facebook, commented on, and pinned on Pinterest. To this list, I've added the posts I personally think will help you the most when you are staging a home for sale. To kick things off, in January I blogged about assessing your own staging efforts. Most people have difficulty judging their own work. 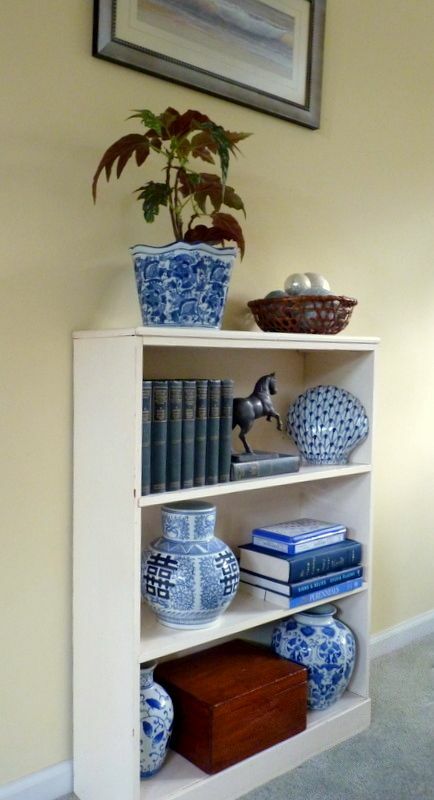 I devised a simple test to see if your home staging tricks are all that they can be. Just answer the questions and you'll know if what you've done to get your home sold is on track. Some readers and Facebook friends told me I was giving away too many secrets when I wrote about the pros and cons of tackling DIY staging, but I like readers to make their own choices. Here's what to read if you are wondering if you should stage your own home or hire a stager. In May I waxed all nostalgic about my love affair with porches. Porches add value to a home, but even if your house doesn't have a real porch, decks and patios can be just as charming to buyers. Learn how to stage a front porch and your curb appeal can skyrocket. Stage any porch and you've added usable square footage to your home. I recently viewed a home and was asked what to change about the decor. The single mistake that stood out was a lack of pattern. All walls, all draperies, all upholstery and all flooring were solid colors. If you are afraid of adding pattern, you need to get over it! Please read this post to learn how to mix patterns. 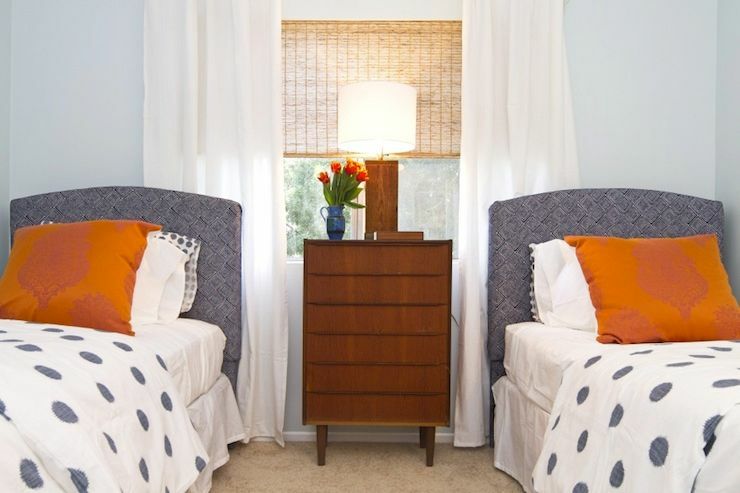 mid century modern furniture is ideal for staging. Photo: Bryght Modern Furniture. Since I think mid century modern furniture is beautiful, I'm glad many readers agreed. You don't need to live in a 1950's ranch house to make the most of this style's clean lines and classic textiles. Discover all the reasons why MCM designs are safe choices for effective home staging. Who doesn't love a makeover? I kept the chair my friend Rhys wanted to throw out because I knew I wanted to experiment with painting fabric. It was one DIY project that received a good number of Pins, and a makeover I really had some fun with. Go visit my microfiber chair repaint. My husband is a rock star to my mind. 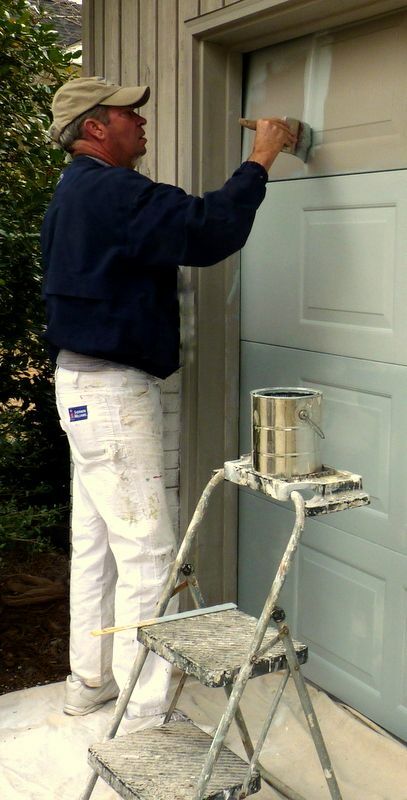 But this tutorial on painting an overhead garage door received even more views and Pins. If you are not a blogger yourself, you may not realize all the planning and details that go into making a good tutorial. When someone else is doing the work -- my own Mr. Lucky in this case -- and I am the photographer and note-taker, a tutorial is a whole lot easier to put together. I wrote a few posts about how to stage a mantel, but this one seems to have the best advice, all in a nutshell. Learning how to put together a pretty mantel is an excellent exercise to hone your skills for tablescaping and accessorizing any room. The same rules apply. Check 'em out. People who know me know I am happiest when I'm fooling around with plants. Whether you are a gardener or not, your home will benefit from a few strategically placed potted plants. Here's the skinny on how to choose containers for container plants. It's common knowledge that painting a room is one of the best ways to spend time and money when you're selling a house. As a professional housepainter, it drives me a little batsy to see people do it wrong, wasting energy or getting poor results. Please don't let that be you. Do yourself a favor and follow my simple room-painting pointers. Those are my Top Ten. If putting your home on the market is part of the plans you have for 2014, I sincerely hope that these posts and my blog and eBooks help you reach your goals. I am looking forward to an exciting year ahead as my blog continues to grow, thanks to readers like you. I value each one of you, and hope you'll continue following my home staging adventures in the coming months. I have so many ideas and projects to share with you!